Of all the books I’ve been involved with over the past decade, including my own titles, I have to say this one is simply unsurpassed in the level of depth and detail. This book is Tania’s life’s work, and her passion and comprehensive education spills out onto every page. The incredibly informative writing and phenomenal photography was all her, and she went all-in to the extent you rarely encounter. This book literally honors Primal Blueprint Law #4: Lift Heavy Things. 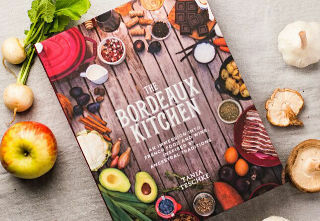 The Bordeaux Kitchen chronicles Tania’s journey through wine school in Bordeaux, a butchery apprenticeship, and the gathering of her vast treasure trove of recipes inspired by French chefs, friends and grandmothers. 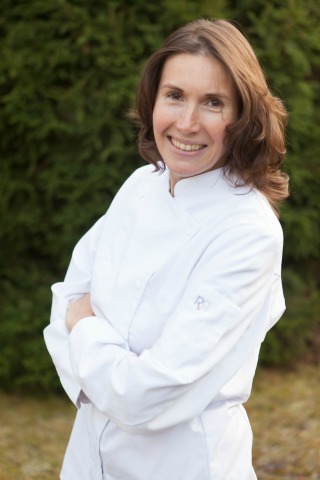 Tania transports you to the culinarily-rich French Southwest and demonstrates how “ancestral,” nutrient-dense, grain-free French recipes are optimal for nourishing your body and mind. 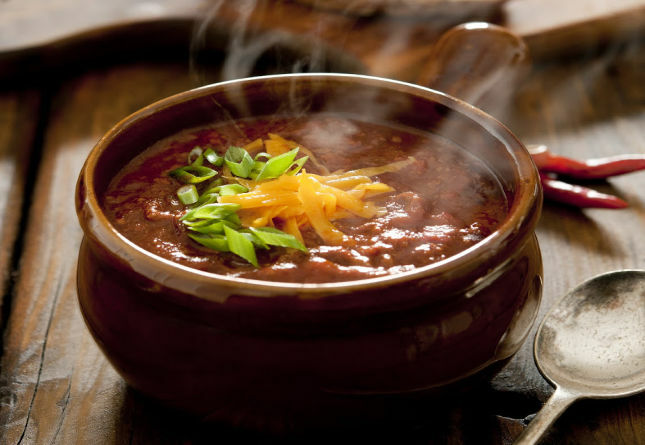 Highlighting the latest research in ancestral health, The Bordeaux Kitchen enlightens you about the path to healing many modern-day, chronic maladies caused by nutrient-deficient diets. This is another area of deep experience and expertise with Tania, as her ancestral health journey has been informed and inspired by debilitating chronic illness likely caused by gut dysfunction from exposure in her world travels (FYI, Kazakhstan is a bad spot for an emergency appendectomy). Sit back, peruse the beautiful recipes and photos and drink in the observations Tania herself shares with us today about French ancestral food culture. Her words, and her book, underscore for me how much is missing from our daily experience in the kitchen. The significance of ancestral eating isn’t only about a menu—but our relationship to food itself. Finally, don’t miss the special Mark’s Daily Apple deal I’m offering for Tania’s masterpiece book…. In the US, it’s hard to resist the convenience of the 24-hour grocery store, instant foods, pre-chopped fruits and vegetables, measured meal ingredients delivered to your door, etc. This consumer-driven world has become woven into our expectations, such that stepping out of this paradigm seems nigh to impossible; it’s just what everybody does, right? It took me living overseas to realize that you can step out. You don’t have to live by the rules of consumer marketing. In my case, living overseas, and especially in France, helped me to escape the modern barrage of marketing messages and find a rhythm of life attuned to more timeless patterns. This involved buying food fresh rather than packaged, and often at the outdoor market rather than at the chain supermarket. It meant embracing full-fat animal products from quality sources rather than fearing rich foods. I learned that it’s worth the time to procure and prepare the whole, nutrient-dense foods that my family needs rather than to buy easily-accessible, highly-palatable foods that they might want. It was not easy at first, but this ancestrally-minded way of life eventually became routine. It also had clear results for my health and that of my family: fewer digestive problems, more stable moods, better concentration at work and school. This lifestyle worked much better than following the dubious guidance of ubiquitous branding and calculated messaging that is all around us in the U.S.
During my three years in Bordeaux, I actively sought to learn about French food (and wine) to broaden my repertoire and feed my family more than just chicken breasts and salmon steaks. I asked neighbors about their grandmothers’ recipes, followed winemakers through the seasons, visited nearby farmers and markets and found a common theme—the availability, quality, and nutrient value of foods and drink are determined by the seasons, soil, microbiome, and the type the inputs (grass or corn; organic or conventional; etc). How you procure, prepare, and consume the food or wine was also important. Going to farmer’s markets by foot or bike, savoring meals and wine with family and friends, seeking out seasonal and organic vegetables, artisanal cheeses, grass-fed meats, and local wines, as a means of connecting with a place – all of this mattered. At the same time, I was seeking answers to my own health issues and discovered the ancestral, primal, and Paleo health movements. I came to see that many culinary and cultural traditions of France were more in synch with these movements and ancestral rhythms than what I had known growing up in suburban America. As I explored the mismatch between tradition and our modern day lives, questions came to me: What if the producing, procuring, preparing, cooking, and sharing of our food is just as important as the act of eating the food itself, whether we’re French, Korean, or American? Could our sense of community and connection be even more vital than getting that errand of “food shopping” checked off of our list? And how could I focus on feeding my family the most nutrient dense food, while supporting a sustainable food system and ignoring the irresistible tug of consumerism? More questions came to me, but so did a few answers: First, I prioritized (and still do) what was most important: Family time? Nutrient-dense food? A sustainable future for my children? I articulated the priority, then committed to looking at my time as economists look at money: What is the opportunity cost of everything I do that is not my top priority? I was determined to only spend money in ways that aligned with these values. Now, still, when it comes to food, I look at my choices thus: I will only put things in my body (or feed my family) with unrefined, whole, organic, seasonal foods, and/or, I will only support the kinds of farmers and agriculture that I believe in. While it may sound over-simplified, thinking in this way can have a profound impact on your life, as each choice you make adds up to create your lifestyle. It also has the nice side effect of honing your sense of purpose. If I went to a large grocery store, I limited myself to the organic aisles or bins and only bought packaged goods that I couldn’t make at home myself: olive oil, certain dried herbs, vinegar, chocolate, certain vegetables. For raw milk, butter, cheese, and other vegetables, I relied on farmers markets or the neighborhood organic store with seasonal selection standards. We tended to buy wine directly from the wine makers, since we were in Bordeaux, after all. The French seem know all of this intuitively: They have prepared and eaten traditional foods like offal and slow-cooked meat cuts, sharing meals with friends and relatives – sometimes over a glass of wine – for generations. And they know that going to the market may take a bit more time and might even cost a bit more than a chain grocery store. But they are also aware that they have the choice, with every Euro, either to spend it at the market stall as loyal customers to a local farmer, or as a nameless consumer at a large grocery store chain. They know that the vibrancy of their community depends on their support of local farmers, wine growers, butchers, and cheese makers. At the same time, they know they will see their friends and neighbors at the market and be able catch up on the latest gossip and news, or just reconnect. Speaking with vendors, sampling sausages, and discussing the current crop of mushrooms or selection of seasonal fish is central to the experience. They walk, bike, carry groceries, move from stall to stall, from home to market and back. It is a deliberate ritual, repeated weekly, if not more frequently. 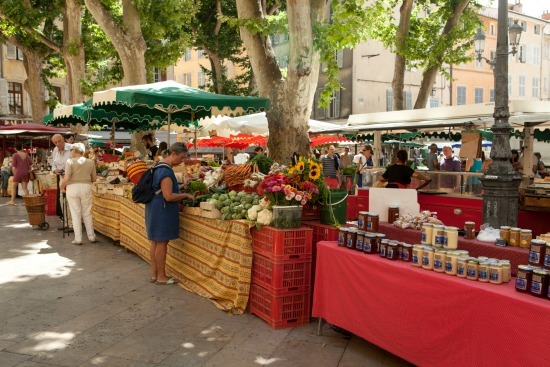 As I discuss in The Bordeaux Kitchen, in France, going to the “farmer’s market” is part and parcel to life. The French relish in this communal ritual of gathering at their local market for social connection as well as for buying fresh food. Living in Europe, and particularly living in the center of Bordeaux, I have had the great privilege of having the option to walk or bike to markets and organic grocery stores to do my shopping. As I recount in the book, I would come home feeling robbed of energy after a trip by car to the chain supermarket, but would come home feeling refreshed, if a bit shorter on time, after a visit to the nearby market on foot, having run into a friend, and chatted with the butcher about a recipe, or with the organic produce vendor about his business. Besides walking more and driving less, disengaging with colorful packaging and the ubiquitous marketing paradigm has helped me to focus on the real food and the real issues with respect to health. So has not watching television: If we don’t watch TV, we don’t see the stuff we didn’t need in the first place. Also, by not watching TV shows, my children also miss the commercials about cartoon character cereals, drive-through meals, and pop-up screen options in gas-guzzling mini-vans. We have so little time as it is, why should we let the entrancing colors of modern branding and repetitive marketing lead us into distraction from the real priorities in our lives? Had I not lived in France, I’m not sure that I would have discovered that children can use knives at a young age to cut their own steaks or duck breast, or that it is possible to walk to a store and feel more fulfilled than driving on the highway, just to get eggs and butter, or that getting to know my local wine maker, farmer, butcher, or vegetable vendor is a joy in itself, a cultural exchange of ideas that weaves our social fabric and is the foundation of a meaningful healthy life, yesterday, today, and beyond. This narrowing of focus, stepping away from the colorful packaging, and ignoring messaging with dubious health claims, leads one instead to focus on Nature (the seasons) and people (connection). As I argue in The Bordeaux Kitchen, farmers and even butchers live by the seasons, and indeed none of us is exempt from these rhythms. The traditions handed down to us from past generations have been vital to survival, such as the disappearing culinary arts of rendering fats, butchering meats, growing food according to the seasons, eating animals nose-to-tail, remembering to slow down and share meals with family and friends. Looking to our recent ancestors, we can better understand that nourishing one’s body is something much more sacred than grabbing a package, box, or bottle off of a store shelf. Indeed, the acts of procuring, preparing, cooking, eating, and sharing are all much more important than we give them credit: Anything that goes into our body ought to be more of a conscious ritual rather than just a mechanical habit. Regularly slowing down to share and savor each step in the process of a meal (I would call this the traditional French interpretation of “farm to table”) helps us rely less on the packaging and more on our relationships to ourselves, our bodies, our health, each other, our communities, our tribes, our families. As we delve deeper into ancestral traditions and lifestyle practices, it is helpful to realize to what extent we are surrounded by a plastic world of marketing and packaging. 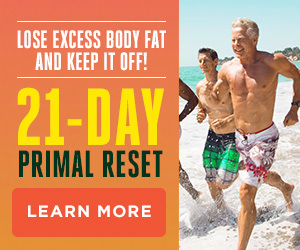 In opposition to this marketing are our communal ties to each other in which we can find real meaning and true connection, love, health, and support. Living in France helped me step out of that plastic paradigm and understand that our connections with each other are more important than the tasks at hand and how we get them done is more important than actually doing them. In my book, The Bordeaux Kitchen, I address the kinds of issues discussed here, while also supplying the reader with traditional French recipes for everything from beef, fish, pork, and lamb to organ meats, to step-by-step procedures on how to butcher a whole chicken, fillet a whole fish, and render animal fats to use in cooking. In The Bordeaux Kitchen, I set out to show how you can procure, prepare, and enjoy real, nutrient-dense food by preparing things yourself that you might never have thought possible. The Bordeaux Kitchen shows you how to understand food, to live, eat, and share, all in synch with the seasons and our natural rhythms. I show you how to make your own bacon and reveal some of the secrets to French cooking, such as having the right herbs or stocks available for flavoring, what utensils to use, and how to whip up sauces that seem so difficult but are not hard to make. I bring you into the homes of French cooks, or describe how they cooked in my kitchen, showing me their tips and tricks. I take you through a butchery apprenticeship, an exploration of the wines of France and their descriptors, and I give you loads of wine and food pairing tips. I explain how families can refocus their priorities, how to throw a wine tasting party, or how to cut, serve and enjoy cheese. There is so much to discover when you make the decision to do things yourself and not be swallowed up by the advertising madness that surrounds us. What we can learn from the French, we can learn from all traditional cultures: surround yourself with your friends and family and eat food that you have prepared yourself and either grown yourself or sourced from farmers and vendors whose sustainable agricultural methods and business practices match your own values and priorities. The Bordeaux Kitchen stands at the intersection of ancestral tradition and modern life, providing founding principles to a rich life, not a quick-fix diet. 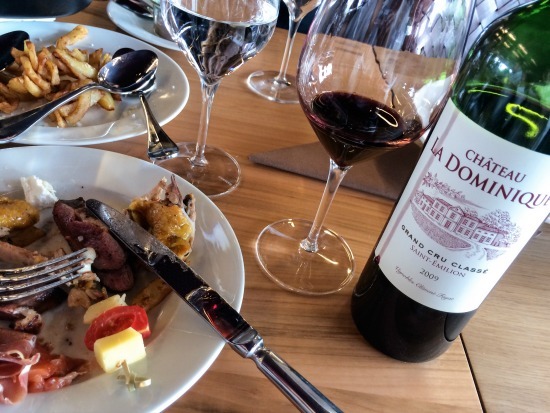 Join me on this journey, and let The Bordeaux Kitchen be your guide. A big thank you to Tania for sharing more of her experience behind the book in today’s post. The subtitle, An Immersion Into French Food and Wine, Inspired by Ancestral Traditions, describes the reading experience very well. This is a true immersion into arguably the richest gastronomic culture in the world. The Bordeaux Kitchen should be required reading for learning to savor life through cuisine. Even if you just integrate a new recipe into the rotation now and then, The Bordeaux Kitchen can help expand your horizons in a wonderful new direction. While there are over 180 sumptuous and easy-to-follow recipes for seasonal and traditional French dishes, it can hardly be called just a cookbook. Along with showcasing classic French dishes like Beef Burgundy, Tania Teschke shows you how to prepare organ meats deliciously, cure your own bacon, and understand all the cuts of meat—taking the Primal approach to a whole new level of DIY in the kitchen, There are step-by-step tutorials with photos, suggestions on how to pair wine with food, tips on how to pick and cut French cheeses, and how to feed guests the French way. There is even Primal-style recommendations on feeding your family with intention and getting kids more involved in the family meals. The Bordeaux Kitchen serves as a practical guide to using the right kitchen tools for the disappearing arts of filleting a fish, carving a chicken, and rendering fat. The beautiful illustrations and rich descriptive text will make you an expert in French wine and cuisine in no time and keep you aligned with the Primal/paleo/ancestral health principles that have exploded in popularity across the globe in recent years. Every home cook who loves food and sharing it with family and friends will be inspired by The Bordeaux Kitchen. 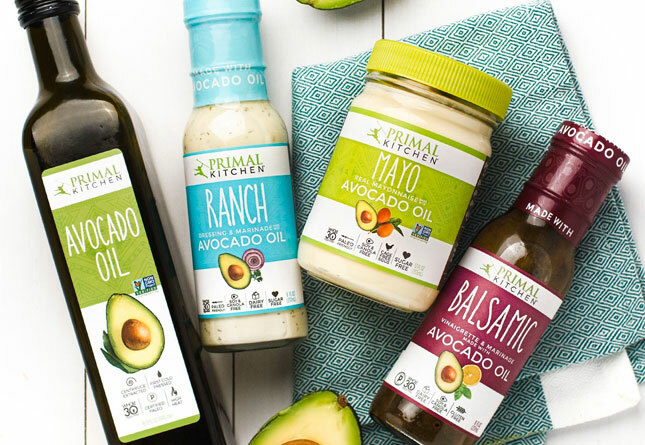 Order The Bordeaux Kitchen on PrimalBlueprint.com and receive a FREE Primal Kitchen® Avocado Spray Oil for all of your Primal cooking ventures. Just add both the book and the spray to your cart and use code NEWBOOK at checkout. Offer expires 6/22/18 at midnight PDT. Limit one special offer per customer. Leave a comment or question for me or Tania—any thought on ancestral eating or cooking, whether about skills, food or traditions. 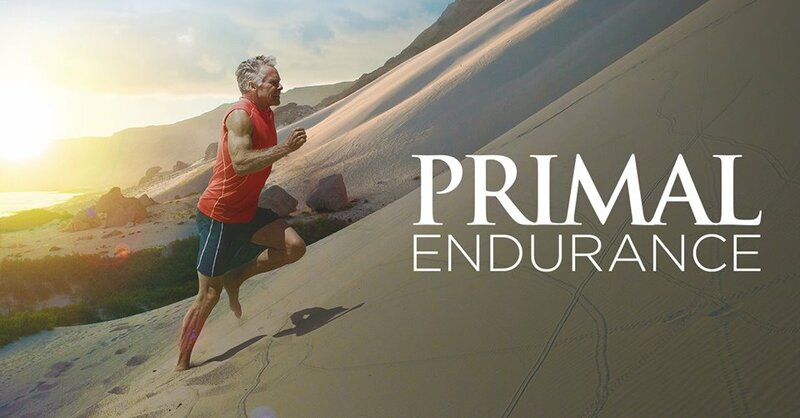 I’ll choose 1 winner at random to receive 6 months of the PRIMAL KITCHEN® Advanced Keto Kit. 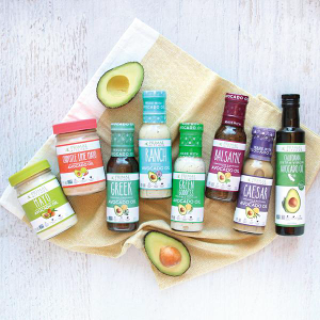 The Advanced Kit Includes everything you need to add heart-healthy monounsaturated fats to your diet and Primal inspiration to your home cooking: Primal Kitchen Mayo, Chipotle Lime Mayonnaise, Ranch, Green Goddess, Caesar, Balsamic and Greek Dressings & Marinades, California Extra Virgin Avocado Oil. Contest ends midnight tonight PDT, June 14th, 2018. Thanks for reading today. 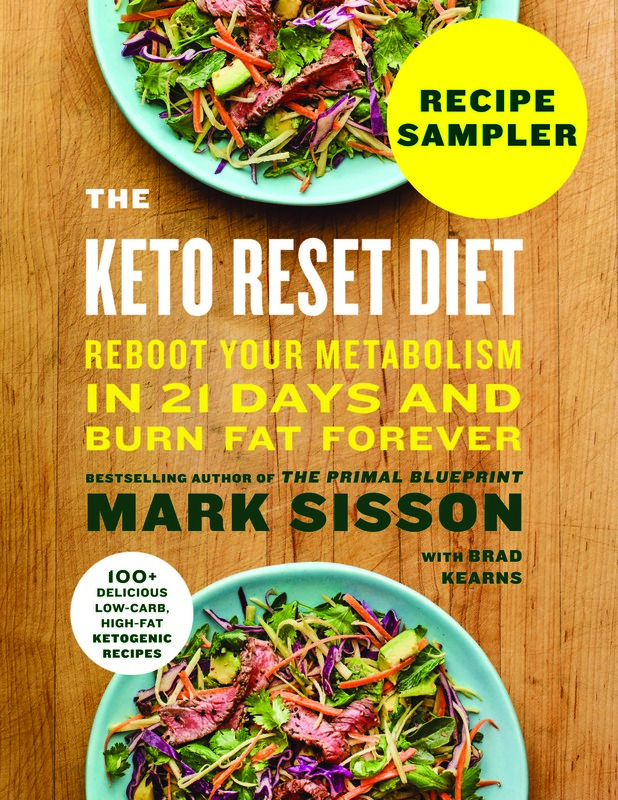 I’m thrilled for this book, and I’d love to hear your thoughts on the personal significance of ancestral eating traditions for you and your Primal lifestyle. Enjoy a couple of my favorite recipes from The Bordeaux Kitchen below. Be (and eat) well, everyone. < Previous postContest: Grokpose for $1000! 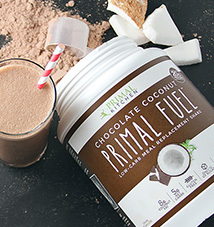 Slowing down, nutrient dense recipes. Sounds delicious in all respects. Tania – what is your favorite memory or recipe out of this book? Thank you Mark and Tania for your perspective here. Looking forward to ordering the book. My wife and her family had a similar experience living in Italy for a year (my mother in-law actually wrote a memoir about their trip). They say it was remarkable how unplugging from the trappings of mainstream American society changed their perspective on life, health, and happiness and had similar experiences perusing the markets for groceries. No bright colored packaging, minimal processed foods – it was healthy eating all the way for them for that year. Hope to have a similar experience in my own life some day. I’ve never dug a hole and buried food to cook it. What advantages does this method provide? It seems to appear in multiple cultures. Could be a cool tradition to start with my (ever) growing family. I wish we had enough markets to be in walking distance. A difficult drive to my market makes it so much less appealing than the European experience. I love cooking dinner with my wife every night (okay mostly just Mon-Fri). It is surprisingly therapeutic and relaxing to have a meal come together and taste delicious and be healthy to boot! I believe getting your kids involved early with helping prepare family meals is important in getting them eating the right way. As curious as these little creatures are, they are always at your heals willing to help or see what you are making. We always have a stool around so they can help or see what we are making. Run with this opportunity to spend time with you family and getting your kiddos interested early in food. Making evening dinner in our family takes the place of TV watching and other non-productive activities. I would love to get rid of TV!! We have lots of farmers markets in this area thankfully and have an organic grocer just across the street as well. I love this post. When I was in Italy it was a huge eye-opener to learn how they approached food. I was in four cities and only saw one fast food chain restaurant, tucked in a corner with a tiny sign. There were cafes and restaurants everywhere, and no matter which one you picked the food was fresh, seasonal, plant-heavy and delicious. Small local markets were frequent, and buying from local merchants was such a pleasure. They slowed down, sat at the table for a long time, talking animatedly and sipping wine – no one was in a rush to leave. Such a different culture around food, and so much more enjoyable and soul-enriching. Sold! Although I bought it from Amazon to save money on shipping. Cannot wait to get this book!! Which was better, the french wine or the french food? Awesome! I love cooking up a Coq au Vin or a Civet de Lapin Classique! Is there a paleo friendly cassoulet recipe in the book?!? I would like to know if there is or will be a release of this wonderful book in French, some of my French only speaking customers could love! I’m curious what your thoughts are on access to the vast array of foods in parts of the world that have short or restricted growing season and availability of foods. In specific I am referring to parts of Canada wherein, if a person wanted to feed their family healthy foods, especially during the winter months, it would involve purchasing produce that has traveled long distances from field to plate, thus further removing us from knowing the source of our food. How do you think it best to balance availability and a good, wholesome, diet with the ecological impact of having to transport food stuffs long distances? As someone who is concerned with the ecological impact of long-distance foods but still desiring my family eat good, wholesome foods, I struggle with this question. The traditional foods of any culture is proper eating. Seasonal, practical, nourishing. To eat this way is preserving history and health. It means we have to slow down to converse with the keepers of tradition, to practise with them what they know. I’m so excited to read this book and eat with the grandmothers of southern France. You had me at French food! But seriously, I am a big fan of this entire lifestyle: from prioritizing and supporting what is important, to knowing the farmers who produce our food, to enjoying a fantastic nutrient-dense whole food meal, slowly, with good friends, good wine and great conversation. I am adding this gorgeous book to my wish list! How did you deal with reentry in the US? Did the logistics of your location make incorporating your newfound rituals challenging? Thank you for introducing me to the book! It sounds lovely. I can’t wait to order it! What are your thoughts on getting kiddos to eat healthy foods? Any strategies? Love this! We’ve just returned from our first trip to South Africa, one of the things that really struck me was how close to nature the people there truly live. My husband hunted, I tagged along. The animals taken (humanely – I was there as witness) were used nearly in their entirety and within a very short distance of where they lived and died. Vegetables were also grown nearby; all food was appreciated and nothing wasted, either by throwing it out or mindlessly consuming it. Why do we get this so wrong in the US? What is your favorite way to prepare leafy greens or cruciferous vegetables? I have been learning about ancestral cooking and eating since I worked on a farm in 2007, so this book is definitely exciting. I’m getting a little tired of Nourishing Traditions…I will always love it, but I need some new recipes, content and ideas to give my daily cooking a creative kick. So glad this book was created! I would like to understand how hunting/gathering for calories and nutrition transformed to the chemistry of recipe creation and “needing” a varied palate. Looks like a great book. This book looks amazing!! Looks like I’ve got something else to add to my very long list of books to buy! In general, despite being fat fanatics, we are encouraged to cut the fatty core out of a lambs kidney before cooking. Thank you Mark, for sharing this. It’s not only a book, its just a life hack. All of the elements and mentioned recipes is just amazing. It would be nice if we could redesign our cities to be more amenable to this lifestyle. A lot of French cooking can be done Paleo-style. I have Julia Child’s book, “Mastering the Art of French Cooking”, and many of not most of the recipes can easily be made Paleo. Beth — That is such a tough question because this is the product of almost 5 years of memories, recipes, and research! 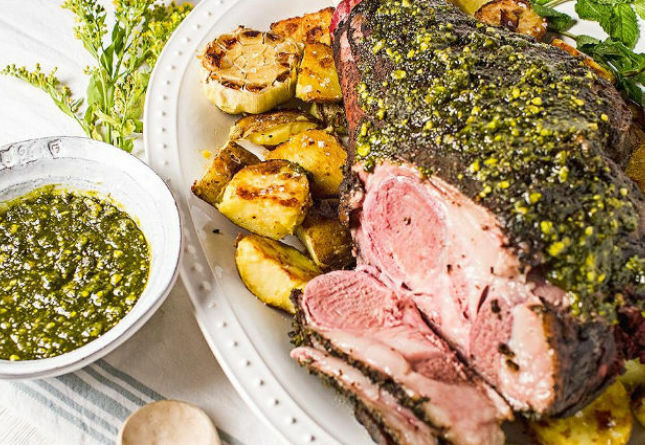 For guests, I love serving the 7-hour leg of lamb, they always go back for thirds and a leg of lamb is usually enough to feed everybody. My favorite part of this book process has been collaborating with the cooks and winemakers and the ancestral eating tribe it’s all so wonderful! I am so grateful to be a part of it all! 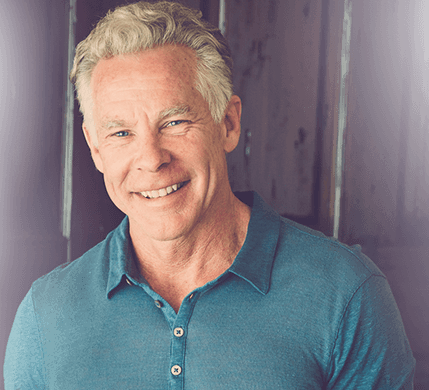 Michael Sahm — Visualize it and prioritize it and it can become a reality for you, that’s how this book became a reality: through tenacity combined with the generosity of others to accept my vision! Kevin — I don;t know anything about burying food to cook it, but Dr. Cate Shanahan (who wrote the Foreword for The Bordeaux Kitchen) does as she lived in Hawaii for some time. Ask around, I think “slow and low” is the concept for the “cooking in a pit” process! Cate — Yes, I know it’s a challenge to find markets within walking distance. Hopefully with increasing demand, they will crop up in more places. There is online ordering as well of grassfed meats, for example, but the walking and biking of course is the most satisfying, if also more time-consuming. Schnytlik – Yes, I am channeling Julia Child in this book! Greek Grok — Yes, I totally agree — cooking and cooking together is very therapeutic in more ways than I think we even realize! Chad — I love how you articulate it: Replacing TV time or other inactive stuff like that with dinner prep for kids, that is terrific! I have a whole chapter in the book on Family and how parents can remember to live with intention. stephanienicklaus — Letting go of TV is so liberating but you may also have that FOMO feeling in the US. I think it’s healthy to just not follow the news. I’d rather be a bit ignorant of the “news” — it’s curated for the most part to distract us, and eliminating distractions is essential to fulfilling one’s own goals and dreams! Sue Nelson — Yes, the Italians definitely have that ancestral eating habit in their culture! As I say in the Epilogue of The Bordeaux Kitchen, each traditional culture should be upheld by its people, passed on, celebrated. French culture just happened to grab me. Everyone has a heritage or culture that speaks to them, we have to listen, it’s so rewarding! Cicely — I really hope you enjoy the book and show it to others if you find it useful. People need to have their paradigm shifted a bit, I have seen on my visit this past week to NYC for my book release. Dan M — Each (French food vs French wine) has its amazing aspects! If you watch the video of my panel discussion on the book (https://www.albertine.com/events/book-launch-the-bordeaux-kitchen/) the point is made that traditionally in France, you don’t have one without the other! La Garbure Béarnaise p.338) as opposed to a pork cassoulet, but you can always add pork sausage. I am working on getting a French version, I have all my cooks, chefs, winemakers and wine experts featured in the book who’d like a French version as well! I know, our customers are waiting! Melissa — Knowing that our favorite seasonal vegetables, for example, exist somewhere else but not in our own area is certainly a struggle having to knowingly forgo if we are sticking to a “local-only” philosophy and not wanting to make a large carbon footprint. At the same time we want to feed our families the best we can. People in far northern climes traditionally did not necessarily have the news (of what’s in season) or traditions in more southerly places, so they perhaps did not have that intellectual dilemma of needing a daily quotient of some nutrient of another. I have found that, when it comes to green vegetables, for example, I can forgo them, as can my kids, for a few days at least. They can survive on root vegetables, which can be stored more easily in winter. What I am saying is that part of our reliance on foods is psychological and by letting go a bit of the “rules of healthy eating,” we can actually carry on, and indeed, thrive. If I have enough fat in my diet (and the kids as well), (render a bunch of beef, pork and duck fat to keep in your freezer), then we are satiated with the energy to get through an albeit short time without veggies, again, for example. I haven’t tried a whole winter without leafy greens, not living so far North and not needing or really wanting or daring to, but you are right, it is surely a challenge. Again, having an herb garden of basil, rosemary, sage, thyme — these can be so helpful for phytonutrients that you have at your disposal through the winter. Salted, dried and fresh fish seem to also be a staple of traditional northerly diets, unless, I suppose you are inland far from a coast, river, or lake. You wonder how people even were able to settle so far North. But they did, before the industrial “food” system “helped” them out, and perhaps they relied on what was available to them without worrying about lacking nutrients, I wonder? Such an interesting question, thank you for bringing it up! Heidi — Thank you so much — I do hope you will feel like you are carried into the stories of the people who showed me their recipes and vineyard and wine making techniques. It’s indeed the people who make the recipes so memorable, besides the delicious aromas and flavors! Lynne — Thank you so very much, I do hope you enjoy the book! I tried my very best to keep the French authenticity throughout the book! Stephanie G — We actually have not yet moved back stateside, we currently reside in Switzerland, which honors its traditions of agriculture and pasture grazing, but I am worried about the transition moving back to the US for sure. I suppose the key is to remember one’s priorities and live by those, even if it means swimming upstream rather than mainstream. Ask me again in a year and a half! Christine — I do hope you enjoy the book. So far, people have reacted very positively to it! Lisa Stanton — I think in much of the US we have just lost sight of traditional values and our priorities have been dictated by entertainment and convenience rather than what we truly need. It helps so much to ignore media. Living like TV doesn’t exist is such bliss! Avoiding convenience is a conscious choice and is purposely difficult so that we buy buy buy. 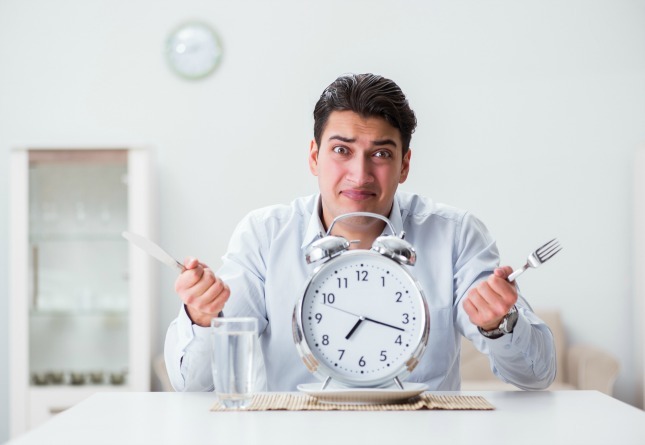 It makes me crazy sometimes, but again, keeping your priorities in mind helps one not get distracted or tempted by media or processed “foods.” It’s really tough, not saying any of this is easy. Benjamin Mercer — I love sautéing vegetables (either whole or diced) to caramelization in bacon fat, duck fat or butter! Some recipes for this are in the book, but basically, have vegetables? Just add fat and a cast iron or stainless steel pan! Jeanne A Carlson — I’m so glad it’s inspiring — that was my goal!! Lisa Kidby — Great question! My guess would be that hunting and gathering by default produces a diversity of nutrients, which we attempt to mimic on our plates. I heard that the French consider vegetables just stuff that takes up room on the plate, I will have to research that quote and see what I come up with! I hope you have a look at the book in a bookstore or library, hopefully the recipes and (my) photographs will inspire you! Patrick Rourke — Please let me know if this book provides you with some new inspiration. There is a lot packed into its 650 pages! Cassandra Liu — I know, I have a very long list of books to buy as well. Why this one? Colorful, real photographs of real meals you can make in the Primal/Paleo/Ancestral tradition, while giving you a multitude of angles within French culture and how to apply those today – and a whole chapter devoted only to organ meats! Anthony Smith — Thank you for your question about why cut the “core of fat” our of the kidney. I think this is both a matter of texture and traditional preparation. I have only seen recipes where the kidneys are sliced in half, both to maintain even thickness throughout, but to also get to the fatty membrane inside the kidney whose texture can be too gristly and/or chunky for even cooking and mouthfeel. I use this as additional cooking fat which you can throw in the pan as part of the cooking fat! Nothing wasted! Sharlena Foster — Thank you for your kind words! I hope you like the book if you get it, I hope it will not disappoint you! Michael — I wish we could redesign our cities, too. That is what is so great about European cities: they grew out of ancestral traditions of markets, connection, community, proximity, before cars, telephones, and TV! Shary — That is what I found also — French ancestral cooking IS Paleo/Primal! Absolutely! The French just don’t necessarily know it, nor do others who love French cooking. I am trying to show and inspire — French recipes are actually perfect for this lifestyle! Which one is your favorite recipe? Jen — I have so many favorites! I answered below that for guests I love the 7-hour leg of lamb, but if I have time for a selfish meal, I adore the Pig’s Feet Sliders (p.259)! They are so flavorful and packed with natural collagen and nutrients — they will wow your taste buds with their caramelization and flavor! 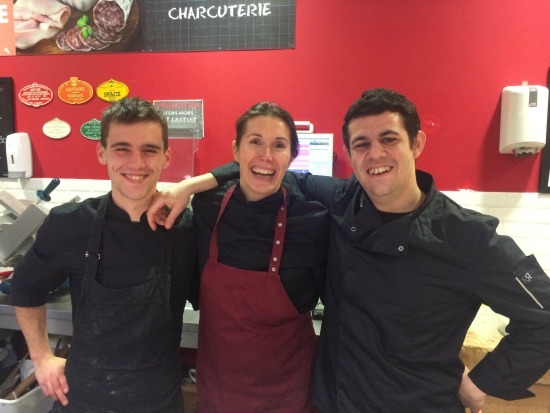 Dave – Yes, that was my goal – to bridge the gap between Paleo and the French culinary worlds! Thank you so very much for your support and enthusiasm! I hope the meals go well! Don’t forget the wine! Can’t wait to try the “Vegetable Clafoutis”! Enjoy! It’s yummy! With dairy or with coconut milk! Tania – I just came back from an extended stay in France and could not agree more. So happy to see a book like this to help people understand a more balanced and simultaneously enjoyable way of eating! It’s really worth reading, there is an article I saw few months back about food recipes but sadly I didn’t bookmark it.